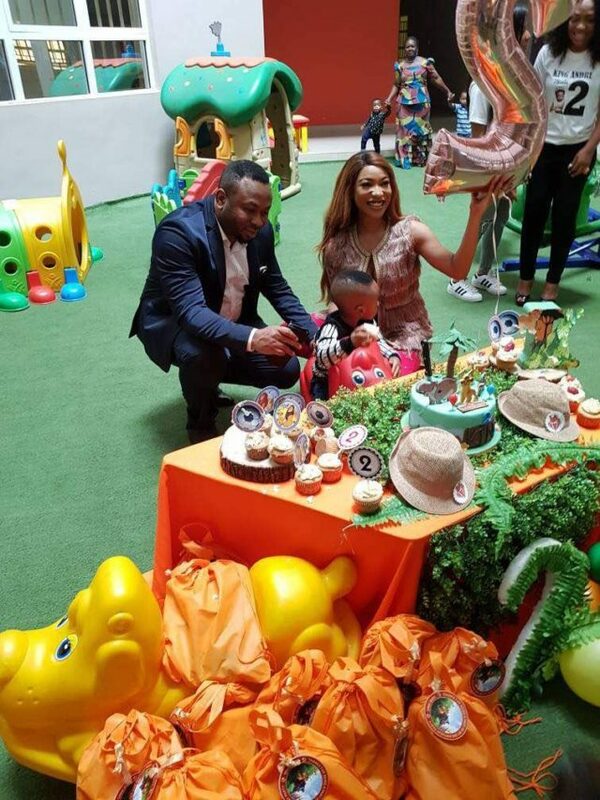 Nollywood actress Tonto Dikeh and her estranged hubby, Olakunle Churchill aka Big Churchill decided to put their differences aside this time and came together to celebrate their son, King Andre as he turns 2 years old. 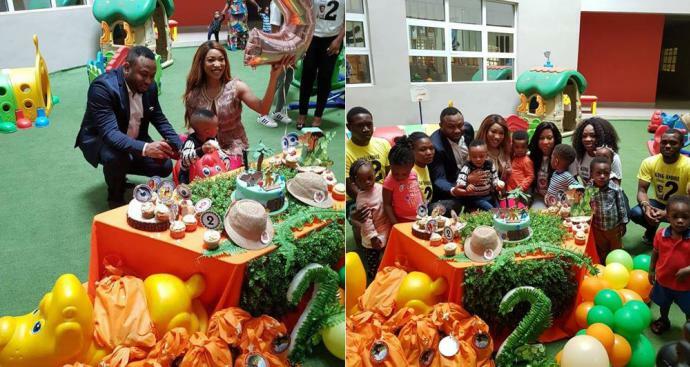 The Couple's differences appears to be softened as they where seen smiling in the first photos from their son’s birthday party. 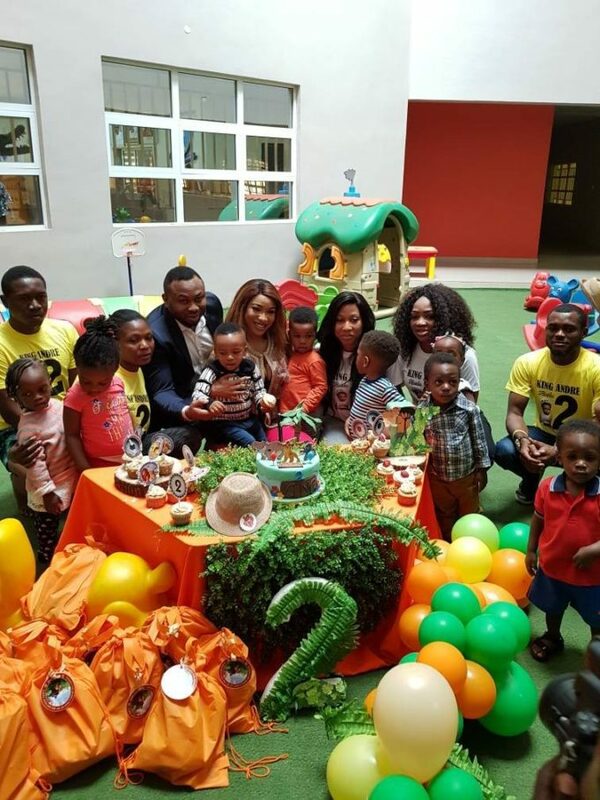 They came together to celebrate their son, King’s birthday at his school in Abuja today February 16th. They looked happy together as they joined King to cut his birthday cake. Should we be expecting romance between them again?